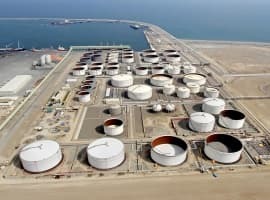 The amount of crude oil in floating storage globally has declined to 40.7 million barrels as of April 13, from 97.2 million barrels at the end of 2016 — a 58 percent drop — according to data from Vortexa Ltd.
“Our data does not suggest any recent builds in global floating storage volumes,” including in the Middle East, cargo-tracking company Kpler SAS said in a research note. Combined floating storage and oil in transit fell by more than 80 million barrels in the first three months of the year, Kpler said. However, it is true that OPEC’s cuts have helped boost oil prices. 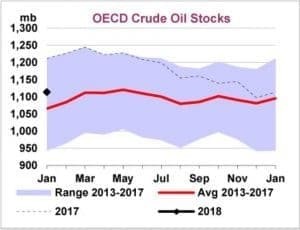 One could then argue that oil prices are “artificially very high”, assuming that OPEC would have otherwise continued to overproduce and keep prices in the $30-$40/bbl range. But would that have necessarily been a good thing? Let’s address that. If a country is a high net importer of crude oil and finished products, then high oil prices will indeed result in a large outflow of dollars. In this case, oil exporters benefit at the expense of oil importers. Crude oil and petroleum products play a significant role in the balance of U.S. trade accounts, and the value of petroleum trade is sensitive to both changes in price and volume. The United States has historically imported more petroleum and petroleum products than it has exported. The deficit reached a maximum of $452 billion in the third quarter of 2008, as a result of a sharp run-up in prices. That means that higher oil prices actually decrease our trade deficit of finished petroleum products. That isn’t yet the case when we include petroleum imports and exports, but the situation is headed in that direction. Long gone are the days when the U.S. had to import 12 million BPD of crude oil and finished products. At that time, high oil prices were indeed a serious drag on the U.S. economy. But with U.S. net exports plummeting toward zero, this situation is rapidly changing. If the U.S. ultimately becomes a net exporter of crude oil and petroleum products, then higher crude oil prices will bring more revenue into the U.S. In that case, the U.S. will be in the position of many OPEC members, with a net benefit to the economy from higher oil prices at the expense of oil importers like China. The President might also need reminding that the top three oil-producing states in the country — Texas, North Dakota, and Alaska — all voted for him. Of the Top 25 oil-producing states, only California, New Mexico, Colorado, and Illinois (at No. 16) voted for Hillary Clinton. Oil country is Trump country and most of the top oil-producing states like high oil prices. Rising oil prices have enabled U.S. shale oil production to rebound from the decline it suffered in 2016. Low oil prices have historically devastated economies in states like Texas, which delivered more electoral votes to Donald Trump than any other state. It is important to keep in mind that there are certain sectors that will be harmed by higher oil prices. Companies that rely on transportation, like airlines and shipping companies, could take a hit. Even refiners are susceptible to lower margins from rising oil prices. Higher oil prices can also reduce discretionary income as consumers pay higher fuel bills. So it is important to understand the impact of higher oil prices on your portfolio. Rising oil prices can be a catalyst for profits, but you have to understand which sectors are likely to benefit. In any case, the net impact of higher oil prices on the economy is quite different than it was a decade ago. And sometime in the not too distant future, high oil prices could become a net positive for the U.S. just as they are for Saudi Arabia. Therefore, the notion that high oil prices are necessarily bad for the U.S. should be reevaluated. There is no doubt whatsoever in my mind that the global economy needs high oil prices to flourish. To qualify my statement, I am talking about oil prices that the global economy can tolerate not any high oil prices. 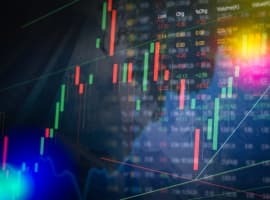 The global economy can’t reconcile itself with low oil prices for a long while because the main ingredients that make up the global economy such as global investments, the oil industry and the economies of the oil-producing countries, will be undermined as has been the case since the oil crash in 2014 and the end of 2016. While it is true that low oil prices could reduce the cost of manufacturing, thus helping the global economy to grow, it is a short-term benefit as this is vastly offset by a curtailment of global investment which forces companies around the world to cut spending, sell assets and make thousands, if not millions, of people redundant. The shale oil industry is a case in point. As a result of declining oil prices, there has been a loss of 0.75%-1.00% annually in global economic growth since 2014. Moreover, global investment in upstream exploration from 2014 to 2020 will be $1.8 trillion less than previously assumed, according to leading US consultants IHS. As a result of declining oil prices, the global oil industry has already sold many of its production assets and cancelled more than $200 bn in oil & gas investments so far, which will translate in two years' time into a smaller share in the global oil production. Oil production by Exxon Mobil, Shell, Chevron and ENI has declined from 11.5 million barrels a day (mbd) in 2003 to 9.0 mbd in 2016. This is already being reflected in the recent surge in oil prices. At prices much below $75/barrel, some of the North Sea’s remaining economically-recoverable reserves, estimated at 15 and 16.5 billion barrels (bb) of oil and natural gas, will end up as so-called stranded assets – hydrocarbons that are simply too expensive to develop. The combined oil revenues of the world’s oil-producing nations plunged from US$1.6 trillion in 2014 to less than US$800 billion in 2016, according to JPMorgan Chase & Co. Included in that figure is a loss of an estimated $289 bn by the Arab Gulf oil producers during the same period. These losses have deprived the global financial system of vital liquidity. This begs the question as to how high should oil prices rise. One has to differentiate between an opportunistic oil price and a fair oil price. Oil producers around the world should be guided by a sound economic principle meaning they should always try to maximize the return on their finite assets aiming for the highest prices the global economy could tolerate. This price could be anywhere between $70 and £130 a barrel. If oil prices rise too high, the oil market fundamentals will tell us in no uncertain terms and will take corrective measures as happened after oil prices reached $147 in 2008. And while one can’t place a price on the blood of the global economy, a fair price ranges from $100-$130. Such a price is good for the global economy in that it enhances global investments, it improves oil producers’ revenues thus enabling them to explore more for oil and expand oil production capacity to meet future global demand and it enables major oil companies to balance their books and resume investing in oil and energy projects. We have seen how the oil crash of 2014 very adversely impacted on the global economy. President Trump is not an economist. Therefore, his attack on OPEC for allegedly being responsible for rising oil prices is not only unfair but demonstrates a lack of grasp of the working of the global economy. He will soon realize that rising oil prices are already helping the US economy reduce its deficit through shale oil crude, refined products and LNG exports. This article overstated the benefits of high oil prices. The USA is still a net importer of oil so high oil prices are a net negative on the overall economy. The fact remains that there is no reason for oil to be over $30 a barrel except that OPEC/Russian have idled millions of BPD to push prices up. However, there are benefits to the USA. WTI near $70 & being pushed/manipulated artificially higher, Trump is correct, is Creating a gold rush in the USA. US production is surging & high oil prices also give renewables a window to continue slowly increasing market share while reducing cost to be competitive in the future. Saudi Arabia has short term interests causing it to manipulate prices higher but let them. Oil is simply not a rare commodity any longer & their manipulation increases non OPEC supply & their future ability to control & manipulate the market. 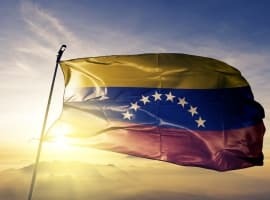 Excellent reporting Robert Rapier and OILPRICE.com! You have shown in your article just how fluid and dynamic the petroleum industry actually is. Once again POTUS Trump is here now shown to be misinformed about the actual facts on the ground. Either his thinking is based on out of date data or his current advisors are themselves also misinformed and out of date and he acts on their advice. I think it is a combination of the two, the worst of all situations for Americans and especially for the rest of the world. Trump and his advisors need to get up to date quickly on all business and political matters! That is my view and I rest my case in this matter based on the evidence in this article. Trump is not only a supporter of big business profit, unlike your narrow minded look wearing blinders, he also looks at the little guys like my young daughters and son that went through this devastating Obama economy. They along with other struggling Americans have to pay the fuel bills for home and transportation. A point to note for those lacking the ability to see the forest for the trees, High prices (are not) good for Americans. The chief reason for the high oil price is the accumulation of about 1.6 billion barrels of oil in form of futures and other types of contracts by no-users. With the current ratio between long and short positions being around 15, any catalyst that would move the price south would cause such 'correction' to be quite violent. The recent break out of the USD is likely to be such a trigger. Higher oil prices=higher interest rates=higher wage growth=return of petro-dollar reinvestment= higher global growth. Global peace will cause for a spike in oil prices, not war in the middle east due to far greater trade and economic activity. Global economics have been distorted and caused for a lower level of activity than if constructed with the intention of having a balanced trade market. Oil prices are below the level where the global economy expands optimally. More ridiculous dribble from Mamdouh. High oil destroys economies. Basic economics. And Paul....you are delusional. High oil will NEVER drive the economy anywhere but down. When oil crashed, the economy opened up. If you truly believe high oil will drive the economy, i suggest you return to school and basic economic classes. Oil makes oilmen rich the rest of the world declines.